Hoot! We have a winner! 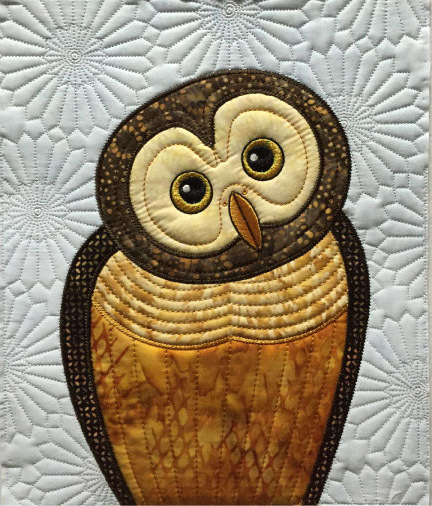 As I knew it would, Outstanding Owls for Appliqué received many comments from quilters eager to get started on owl projects! Random.org has pronounced that the winner is… No. 42, Swooze! Congratulations! 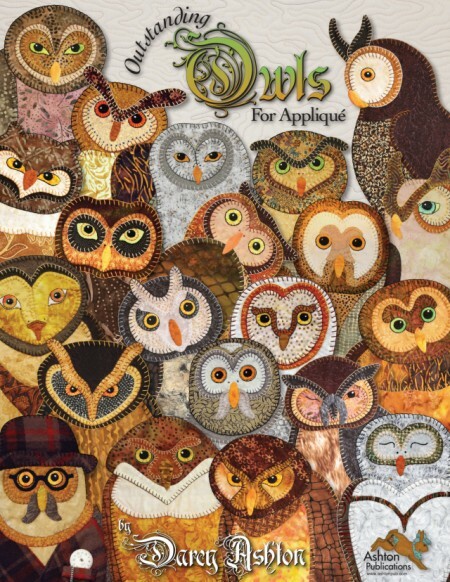 The owls are flying your way. Myself I’ve had a bit of a hiatus this summer with no shows for almost 3 months. I did have a list of things to do as long as my arm, and now it’s all, all done! There was only one thing given up upon (deemed just too unwieldy) but everything else, check! 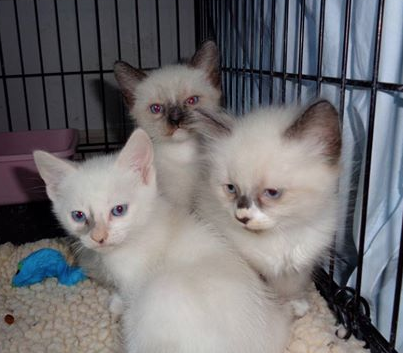 I even had time to wrangle a batch of foster kittens! They loved puppy Daisy immediately, and she loved, LOVED them too, in fact as an enthusiastic young pup she wanted to love them to pieces! But with careful oversight we managed to get everyone through the foster period in one piece. 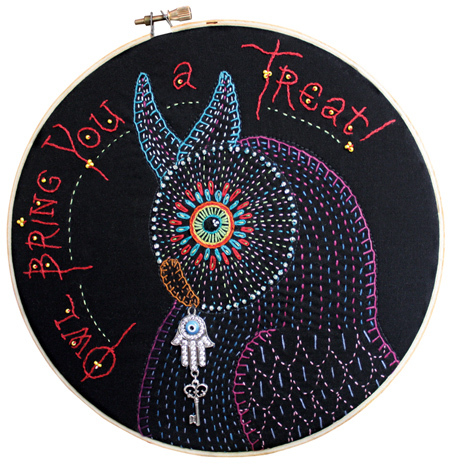 Kitties are back at the shelter and up for adoption, and now it’s time to gear up for Quilt Show Season. Yippee! Here’s where I’ll be this month. Two years ago, this show, put on by the Los Banos Arts Council Quilters, was one of the most enjoyable and heartwarming vendor experiences I have had. 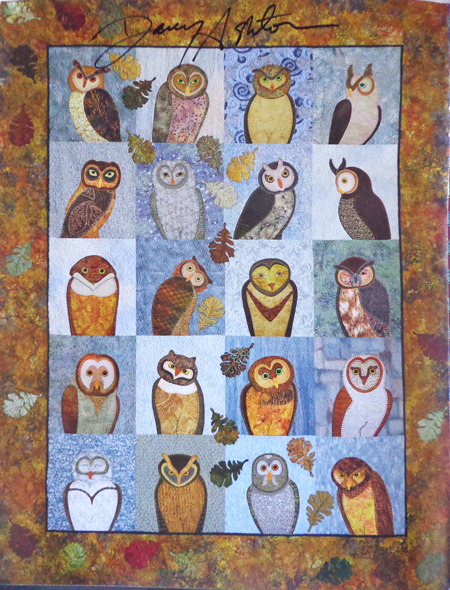 There couldn’t be a nicer group of quilters, or a cuter decorated show. There are freshly harvested pumpkins everywhere, and they can be purchased to come home with you! Read all about it at losbanosarts.org.com. This lovely show in historic gold country is one of my favorite destinations. Hope to see you there in Sonora, California! 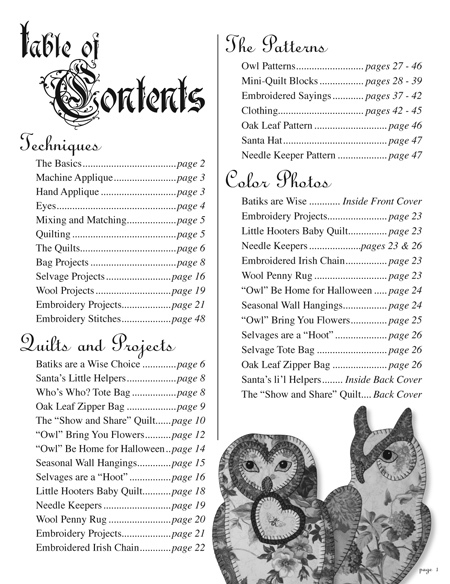 Read all about it at sierraquiltguild.com. It’ll be my first time at this event in nearby Morgan Hill, California. I’ve heard it’s a great show, and I’m looking forward to being there! The show is part of the Taste of Morgan Hill, an event for everyone in the family. All the info is at svqa.org. Got the Vibe washed, ready to hit the road!